What is this resource about? This resource will explore how Universal Design for Learning can enhance social learning and ensure that all students can learn from one another. Read more under the sections Defining Social Learning and Showing What Learners Know to get a comprehensive understanding of the relevance of social interactions in higher education, and consider the ways in which Peer-to-Peer Dimensions influence a classroom. Why is this important for higher education? Learning is social. For students to gain new understandings they need to be able to learn from and with one another as skillfully as they can learn from materials or a teacher. In preparing students for careers, postsecondary education must take care to foster social engagement in ways that are accessible to all students. Provide multiple means of engagement: Ensuring that all students can participate in social learning illustrates diverse pathways to goal achievement, which supports student motivation and the development of self-efficacy. Provide multiple means of action and expression: UDL allows all learners to show what they know so the group as a whole can benefit from what has been learned individually and collectively. Students need to be able to learn from and with one another as skillfully as they can learn from materials or a teacher. Four students are sitting in a classroom. One student is using hand gestures while others are looking on with interest. Everywhere we look, there is evidence of the social nature of learning. Case-based learning in business and law schools is intended to support group observation and reflection on how others do their work. Rounds during medical residency are designed to support guided practice. Apprentices in many trades engage in learning by doing with one another. In fact, more learning happens between apprentices themselves than it does from master to apprentice.1 Although so much of our learning is produced through social interactions, in most postsecondary education, we structure teaching and learning in the classroom, and the assessment of whether it has occurred, around an individual’s performance independent of her peers. A professor is successful if she can have each individual student demonstrate his or her understanding in the same way. If we think about intelligence as distributed, and knowledge as socially constructed, we want individuals to be different rather than similar. Fischer cites the social psychologist Donald Campbell and his fish-scale model for thinking about how distributed intelligence should work. Campbell, writing in the 1960’s, cautioned that building a discipline like social science wasn’t going to be done by cross-training everybody so they could be experts in many different things (e.g., statistics and sociology). Rather, postsecondary institutions should focus their energy on allowing people to develop their narrow specialty and learn how to thoughtful overlap with the narrow specialties of others, much the way each scale of a fish is distinct but overlaps slightly with several others to fully cover the fish. Social learning systems emphasize frequently externalizing what the group has learned and produced individually and collectively.6,7 These externalizations allow the group to see what people know or have learned and they provide a way to clear up misunderstandings, benefit from what others have learned and can do, and focus in on areas that still need to be examined or problems that need to be resolved. UDL calls for learning environments that allow for more than one way to develop knowledge and express understanding by using several different types of formative assessments, allowing for different multimedia tools to communicate, and providing supports that can be gradually reduced as students become more proficient with a task. For example, if a student can choose to either use a diagram or answer a series of multiple-choice questions to illustrate what they know about a healthcare IT system, there is less opportunity to mistake their diagramming or recall skills for their healthcare IT knowledge. Universally designed environments provide more accurate and more varied externalizations of what individuals and the group as a whole has learned and this positions everyone better to consider what should happen next in terms of teaching and learning. Students vary in their aptitude and capacity for peer-to-peer learning – just as they vary in personalities, motivations, and abilities. The designs of learning environments also vary in the extent to which they afford interpersonal learning opportunities that appeal to the full range of learners. Consider a group discussion that relies on the professor “cold calling” on students to answer questions. A student who speaks English as a second language, needs time to formulate ideas, or is shy in large group settings, might look less capable than a student that is good at speaking up, even though the first student knows the material better. The context around peer-to-peer learning is also relevant. There is a need to consider who is doing the “cold calling,” how they do it, and how do students react to one another’s responses to questions. This business school example shows UDL in a classroom that relies on social learning. The school showed a commitment to support learner differences in peer-to-peer learning by offering peer-to-peer mentoring so students with less experience engaging in case discussions had support and low stakes practice. They also introduced a new group problem-solving course that did not require the Socratic method. 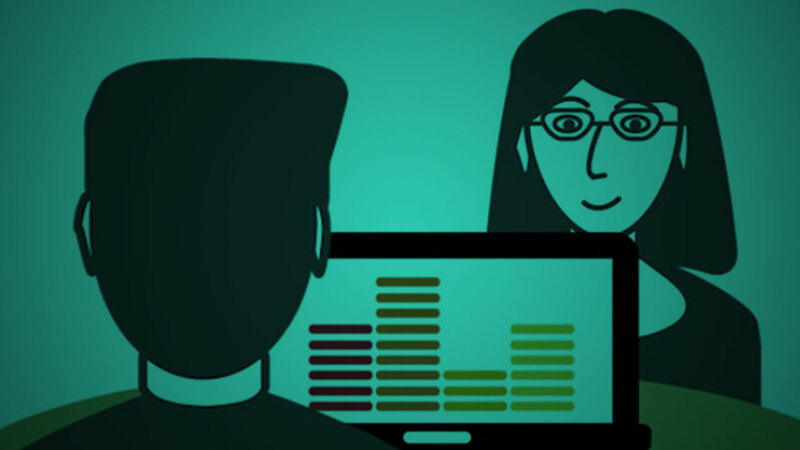 By introducing stenographers so professors could remember who said what and grading software that helped them to visualize how they were engaging students, the intervention added more options for monitoring student progress and evaluating their performance (participation made up 50% of their course grade). Finally, the intervention addressed the context for learning by having professors talk about respect and civility in the classroom and increase their awareness of their cold calling patterns by gender. Other aspects of UDL an initiative like this one might consider include ensuring multiple means of representation of case materials and ensuring that all students can express what they know by offering alternatives to the “cold call.” The basic premise of UDL is that barriers to learning occur during students’ interaction with curriculum—barriers are not inherent solely in the capacities of a learner. UDL ensures that curricula—goals, methods, materials, and assessments—are designed to account for systematic human variability without lowered expectations. In social learning systems, the quality of interpersonal interactions and what individual and collective knowledge produced is very much part of the curriculum. UDL can help all students benefit from learning from and with one another by enriching the ways in which social learning can happen. 1Lave, J., & Wenger, E. (1991). Situated Learning: Legitimate Peripheral Participation. Cambridge: Cambridge University Press. 2Bandura, A. (1977). Social Learning Theory. New Jersey: Prentice-Hall. 5Ford, M., Summary of Motivational Systems Theory. In Motivating Humans. (pp. 244-257). Newbury Park CA: Sage Publications. 6Wenger, E. (1998). Communities of Practice: Learning, Meaning, and Identity. Cambridge, UK: Cambridge University Press.